I just came back to the city after being home for a week visiting my family and friends in the burbs and I feel rejuvenated! I spent time with my little niece, drove around the burbs, hung out with my friends and enjoyed central air conditioning! The first thing I did when I got back to the city was hit the farmers market in Union Square to get a ton of veggies and fruit so I could start up my fully raw rest of the summer. I've always wanted to go fully raw for a few reasons: the health benefits, the weather and having a ton of in season fruit available to me, weight loss and to see how my body would feel eating completely raw, fresh foods. It's day 1 of being completely raw and I feel great. My awesome guide to being raw is Kristina at www.fullyraw.com. Her recipes are amazing and her positive attitude is infectious. I can't wait to see where I am in a month. I also made some more deodorant today and I have to say alot of us are obsessed with putting healthy foods IN our bodies, what about what we put ON our bodies. 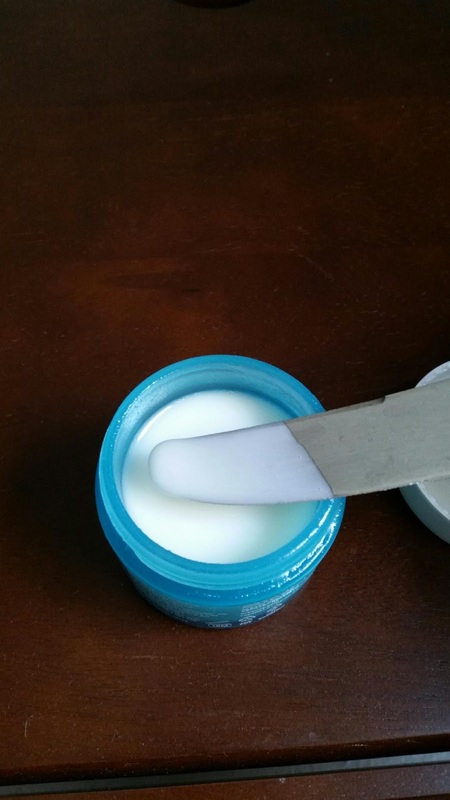 I've been making this homemade deodorant for a few months now and I love it. And it's summer and I can tell you it works! So, I'm throwing it back (even though it's not Thursday) to my homemade deodorant recipe that you all must try! It's easy, you can save money by not having to buy deodorant in the stores and the ingredients are all natural with no chemicals. I modified my original recipe so that the deodorant is alot more moisturizing so that it goes on more like lotion, doesn't bunch up under your armpit and crumble onto your floor (gross). And a quick recipe here that is fully raw and yummo. I made nana ice cream last night with a ton of bananas and I just couldn't eat it all. So, I put the rest of the ice cream in a small mason jar and put it in the fridge. 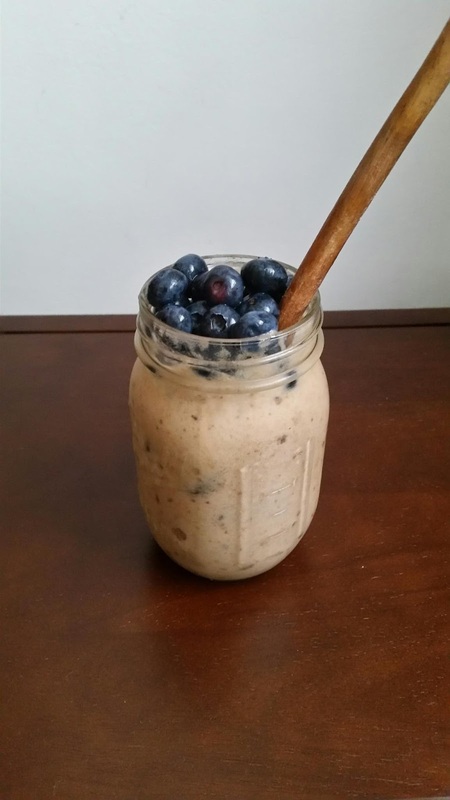 It melted and ended up a sweet banana smoothie so I topped it with about 5 dates and some blueberries and had this for breakfast. It was so delish. Make your nana ice cream with speckled or brown bananas so the ice cream is sweet. What are you doing this summer to take care of yourself?